Since having a baby I have gone through these wild ebbs and flows of emotions when it comes to this new journey of motherhood. Much of life prior to becoming a parent was focused on personal goals and achievements. Life was focused on what brought me closer to achieving them, as you would expect from anyone in their 20’s without a child. Many times I would overwork myself to get to the next thing. We would place way too much on our plates. More often than not, our life was predominately a rat race of chasing our goals and digging some deep holes of exhaustion from too much work and too much social life. I longed for days that were slower, less full, and simpler even though I was loving the wildness of the season I was in. When Hayes came along life slowed at an alarming rate. The things I used to get done in a day no longer came close to getting done. Our social life halted. In many ways, we have enjoyed this shift to quiet evenings in that end us in bed by 10 PM even on a Friday night. Even now at 8 months, I still have moments I struggle to accept this new season. Many times I have mourned life as we used to know it even though I love the time we get now as a family and how days are slower. Though it isn’t less busy, especially now with a baby trying to walk, and life is full of far more distractions and less long periods of time to be focused on goals for extended periods of time, I am learning to find ease here little by little. A huge part of our move to Michigan was about finding a way to accept this season we are in as parents, business owners, achievers, and humans. I have had to learn over the last 8 months to choose my battles, weigh each day what matters the most, and frankly what doesn’t. I have had to learn to let go of so much knowing that in return what I will receive is a far greater reward in the long run. This age and time with Hayes is fleeting. Before we know it our he will be in school and the season will shift again just as quickly. Many goals have been set aside for now not because I don’t think they will ever happen, but because I know this is not the season for them and that is where I am finding peace. It is easy to allow the clutter of life to stack so high we can no longer see what we value most in the now. That clutter can be actual clutter, things that that the world places at our feet, or things we have collected overtime. Currently, I am practicing letting go and choosing to really ask what am I most comfortable giving up in return for enjoying this time. I am trying to decide what is okay to box away for now in this season, what do I need now, and most importantly what needs me most in this season. I read once that you can have all you want, you just have to choose what you are willing to give up in order to have it and that is what this season is for. It is the season of being present in what matters and choosing what I am willing to be give up for it. It is the season of refining. It is the season of now. What a beautiful post! 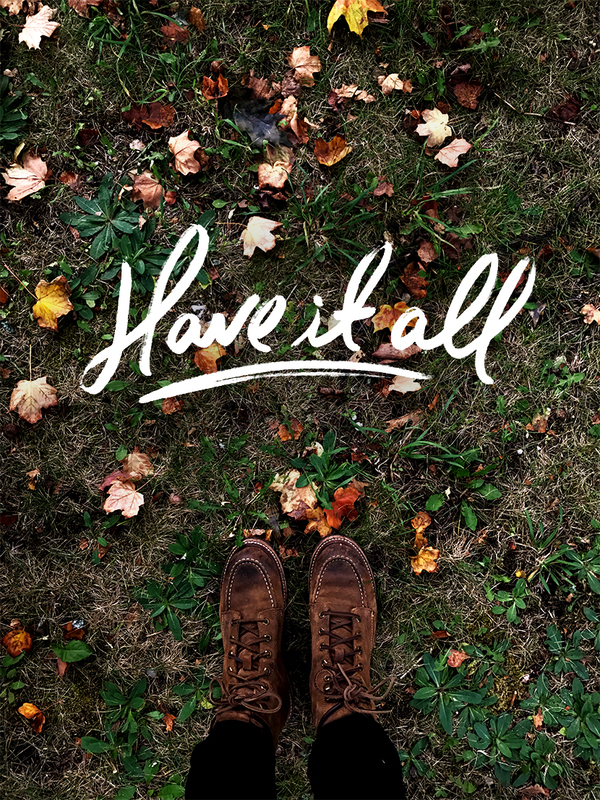 I think you can have it all, too — but it is all in the timing. I hope you enjoy all of the changes and moments this season brings. Love this post- Thank you for sharing! i once thought life was about balancing it all, but i think it differently now. I actually don’t want a balance, I want the flow, but i also know that requires work in the beginning to figure out what do i want in this season of my life? also, just because something is not for this season, it doesn’t mean it’s forever. a lot of faith is involved. this was incredibly inspiring to read and to ponder over. “accept this season we are in as parents, business owners, achievers, and humans.” Love this and something I’m Also working on constantly as a New-ish mom. Inspiring words as always. Thank you so much for writing so completely from the heart. This was a really moving and poignant read.